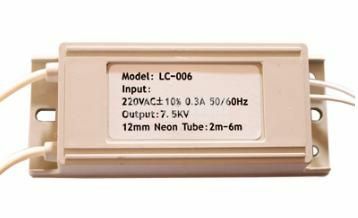 Power supply for neon with length 2-6 m, 7.5 kV. List Price 35.90лв. VAT Incl. 34.10лв. VAT Incl. high secondary voltage and high output frequency.